Paytm E-Commerce Pvt. Ltd, the online marketplace arm of One97 Communications Ltd, is raising $200 million (Rs 1,334 crore) in a funding round led by Alibaba Singapore E-Commerce Pvt. Ltd, a wholly-owned subsidiary of Chinese internet giant Alibaba Group Holding Ltd, a financial daily reported on Thursday. 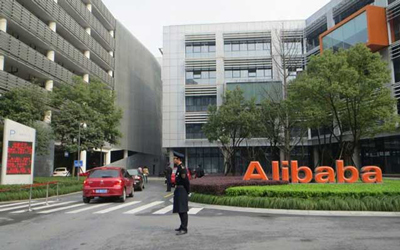 Alibaba will invest $177 million (Rs 1,182 crore) while the rest will come from venture capital firm SAIF Partners, an early investor in One97, said a report in The Economic Times citing filings with the Registrar of Companies (RoC). Following the deal, the stake of Alibaba and its affiliate Ant Financial (the parent company of Alipay) in Paytm E-Commerce will increase from the current 40% to 62%. "But this will come down as the company creates a large employee stock option pool to attract and retain talent," ET quoted a person privy to the development as saying. The deal is expected to value Paytm E-Commerce at close to $1 billion, the report added. One97 Communications was valued at $4.8 billion when it raised $60 million (Rs 403 crore then) from Taiwanese chipmaker MediaTek Inc's Mountain Capital fund in August 2016. In the same month, Paytm had created two separate entities, Paytm E-Commerce and Paytm Payments Bank Ltd, to run its e-commerce and banking services, respectively. At that time, people familiar with the development had told VCCircle that the objective was to help the new e-commerce company raise more funds from existing investor Alibaba. In December, the company announced it was merging its wallet business with the payments bank to comply with the Reserve Bank of India's directions. The funding round will mark Alibaba's formal entry into India's crowded e-commerce market. The deal is expected to shake up the country's e-commerce sector, which is already witnessing a cut-throat rivalry between Amazon, Flipkart and Snapdeal. Interestingly, Alibaba also owns a tad over 3% in Paytm's rival Snapdeal. Earlier this week, Paytm launched a separate app and website for its online marketplace business, Paytm Mall. Recently, Paytm founder Vijay Shekhar Sharma had said, in an interview to VCCircle, that Paytm will be one of the two final winners in the Indian e-commerce contest. "Marketplace is a very scalable business model while inventory-led retail is a very fast one to build and get certain GMV numbers, but it is tough to become profitable and expand. Our business is tough to start, but will have significant scale and margin later on. We have taken a longer-haul journey in e-commerce. Since we find that it is becoming an independently sustainable business, we are making it a standalone unit. If we were to take a five-year forward view, we will be one of the final two marketplaces," he had said.